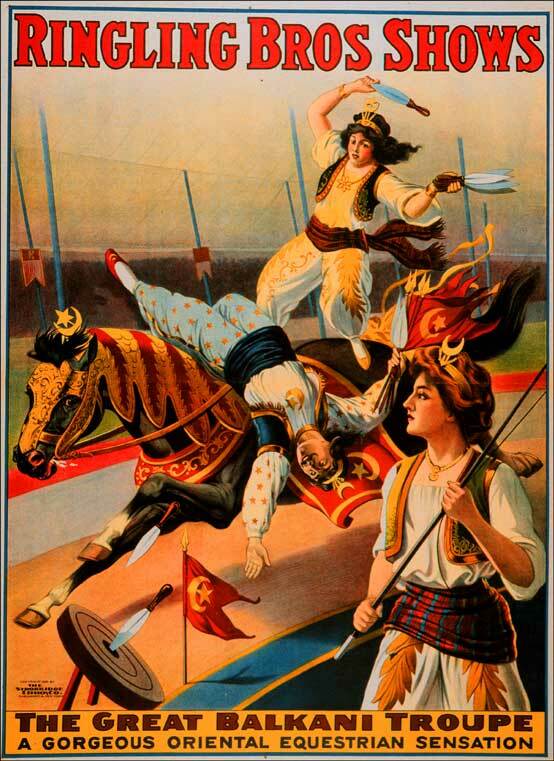 Ringling Bros Shows / The Great Balkani Troupe / A Gorgeous Oriental Equestrian Sensation. Lithograph. Ca. 1914. 40&1/8 x 30 in (101.9 x 76.2 cm). Cincinnati: The Strobridge Litho. Co. Strobridge Poster Collection. Art and Music Department.